Hawai`iʻs best kept secret is no secret anymore… Named “Miss Aloha Hula” at the prestigious Merry Monarch Hula Festival, four-time “Female Vocalist of the Year” Nā Hōkū Hanohano Awardee and Grammy Nominated Natalie Ai Kamauu blew into Hawai`iʻs music scene in 2005, immediately turning heads and perking ears with her break out album “ʻĒ”. The title itself said it all….” Extraordinary.” With a voice of an angel, Natalieʻs soaring melodies will whisk you to heights and depths of musical emotion. Though her sound is sweet and seemingly effortless, donʻt be mistaken. Sheʻs a powerhouse vocalist. Natalieʻs music is definitely Traditional Hawaiian but how she dances the fine line between old and new is what audiences adore her for. Always with flair, she dares to coalesce the two, bringing Hawai`iʻs past into the present. 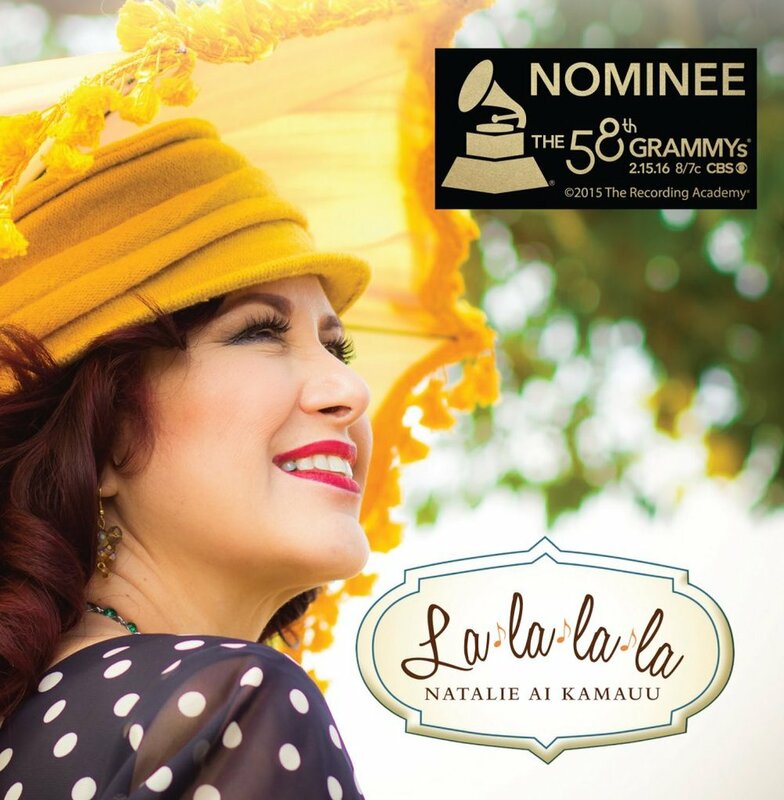 Together with her husband, Iolani Kamauu, they create a sound that is undeniably hers, a vanguard of Hawaiian of music. 2013 Anthology Album of the Year, “Eia"